Catch Charlie Berens’ show real quick once. Over the past few months, your social media feed may have been populated by what looks like a local news brief set in eastern Wisconsin. If you took the bait and clicked “play” you discovered the satiric genius of “Manitowoc Minute.” This is the brainchild of comedian Charlie Berens, the Emmy-winner scheduled for a stand-up show at the UW-Stout Memorial Student Center on Thursday, April 12, from 8-10pm. Lest you think Berens merely adopted a thick Wisconsin accent, came up with some genius takes on the happenings of the moment, and stumbled into virality, you should know that he has a notable comedic curriculum vitae. The Milwaukee native has performed humorous journalism for the likes of Funny Or Die, MTV, Chicago-based Tribune Media, and CBS Sports Network, with millions of fans following his assorted works throughout the 2010s. One of his ideas has been picked up by a project involving Kevin Hart. Get yourself tickets to see Berens’s show – if you still can: He sold out his UW-Eau Claire gig in early March in just a couple of hours. 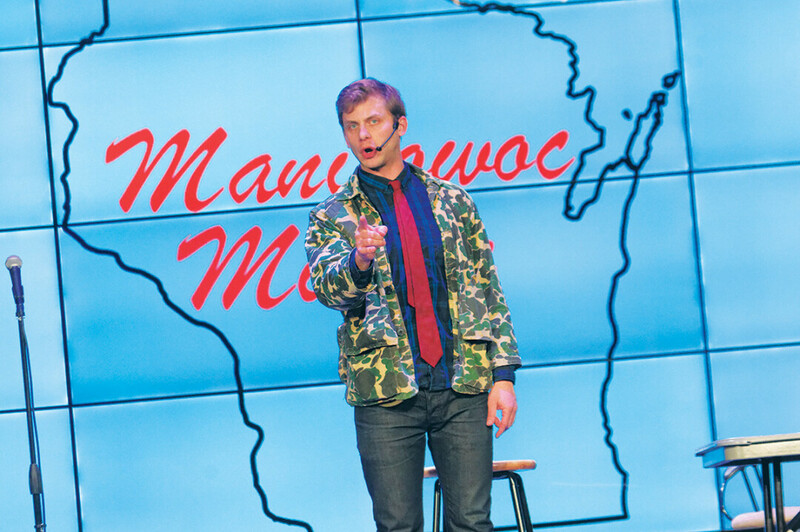 If you were at that show, tell the friend of yours who has heard about the “Manitowoc Minute,” but never set aside the whopping two-plus minutes it takes to view an episode, to watch some segments and then attend Berens’ Menomonie performance. Keep ’er movin’, and, as always, go Packers. And ... well, if you have watched the “Manitowoc Minute,” you know the rest.